Although Samsung Electronics is constantly exploring new technologies for our mobile devices, we have no immediate plan to include displays featuring 3D technology in our upcoming smartphones. So there it is, straight from the horse’s mouth – the Galaxy S III won’t be sporting a 3D screen, but who knows what the long-term future holds for Samsung’s smartphone displays. We already saw that previous 3D phones did not attain big success, so I think this decision of SAMSUNG is totally logical. 3D is ok on a huge movie theater screen with all the sound effects to go with,but I just couldn't get it on a comparatively tiny phone screen. Looks cool,but that's about it. Phone screens are generally too small for 3d to be worth it or effective. Ouch. No 3D! Now that hurts. Hey, Samsung, what about HD-DVD? Will you integrate Sony's MemoryStick? Actually, all I really want to know is which SGS3 version will be compatible with BetaMax. If Samsung could only pull all this stuff into the SGS3, it would be the best Internet Appliance around. samsung doesn't have any capability to implement 3D tech in mobile device while samsung also beaten by LG in 3D TV product. 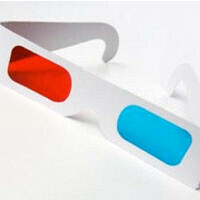 samsung is just waiting for the others to come out with their own 3d phone and see how the market will react. if it did well then they will release their own 3d phone, if not, then they will just sit and laugh at those who did release 3d phone. (that;s you htc and lg). same goes with samsung galaxy s3. they wait for htc to come out with their one-series and see consumer's reaction so they will know what to add or remove from their galaxy s3.